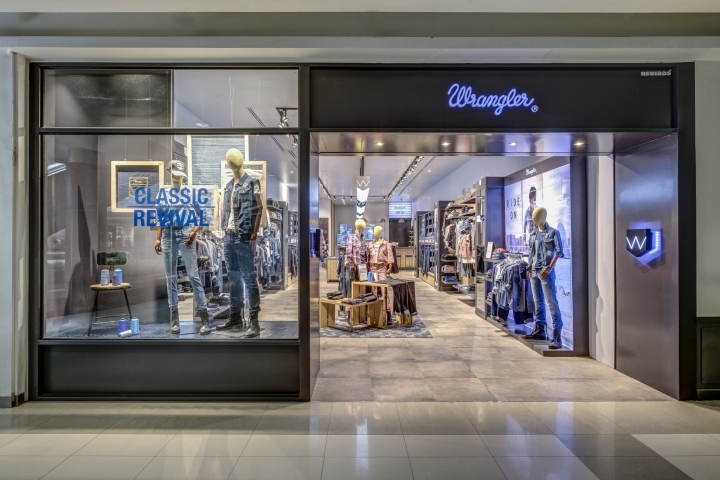 Wrangler has unveiled a revamped Asia Pacific retail platform designed in collaboration with UXUS. 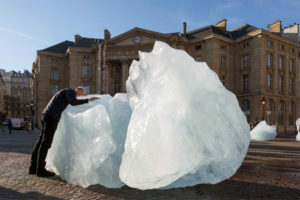 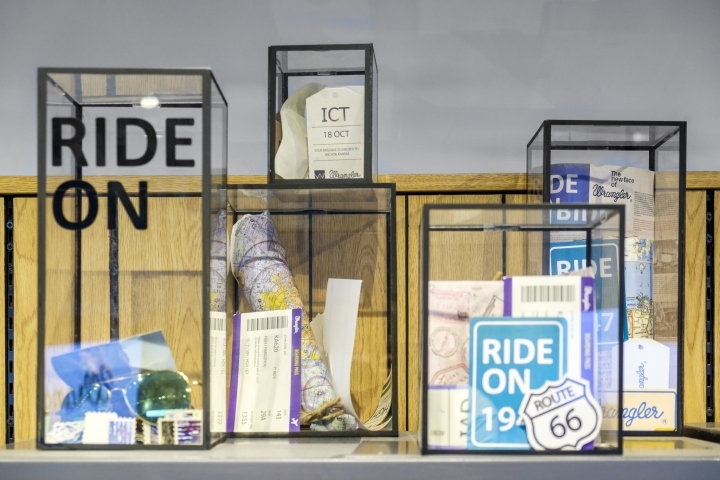 The new experience was rolled out in key markets, such as India, Indonesia, Thailand, Philippines and Malaysia, with further rollouts in the pipeline. 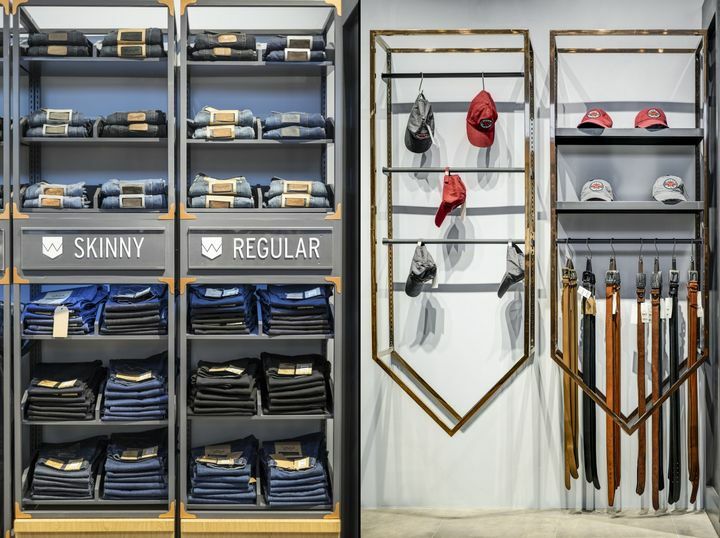 UXUS and the Wrangler Project Team, were tasked with a challenge: how do you take an iconic American brand with an original cowboy heritage and translate this authenticity to the Asia Pacific tastes in a premium and accessible way? 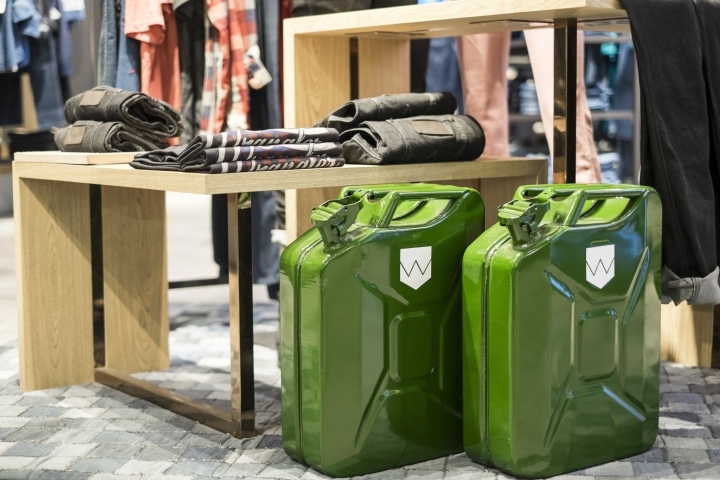 Leveraging a unique consumer insight that in Asia a motorbike rider is the modern day cowboy, the Wrangler Roadhouse captures the spirit of biker hangouts where riders share their stories, passions and get new gear. 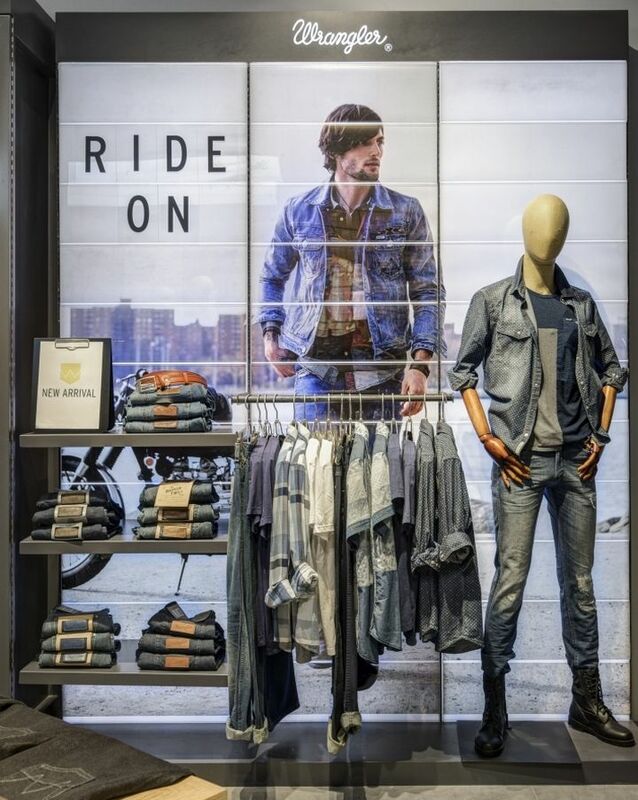 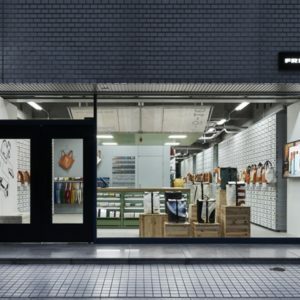 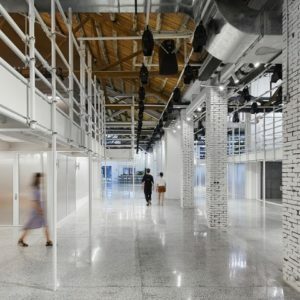 Going beyond a retail store, it is the destination for new generation of denim lovers to connect, explore and discover the latest denim culture. 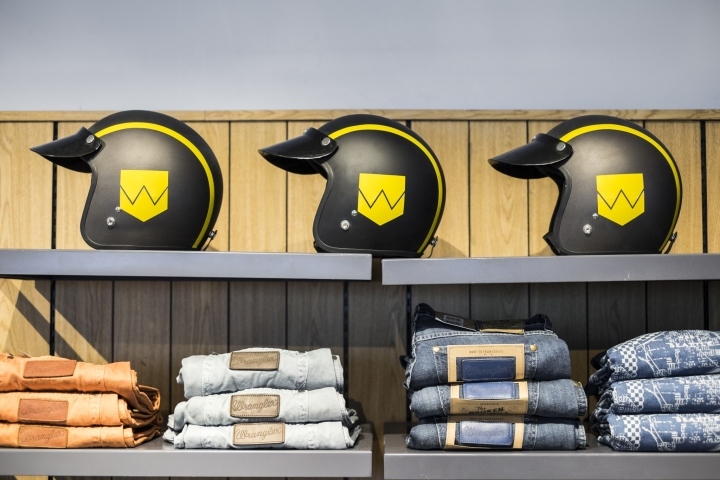 A unique and iconic design language inspired by biker hangouts with subtle nods to the Wrangler W monogram creates a premium framework to hold rich product stories with signature lifestyle biker props. 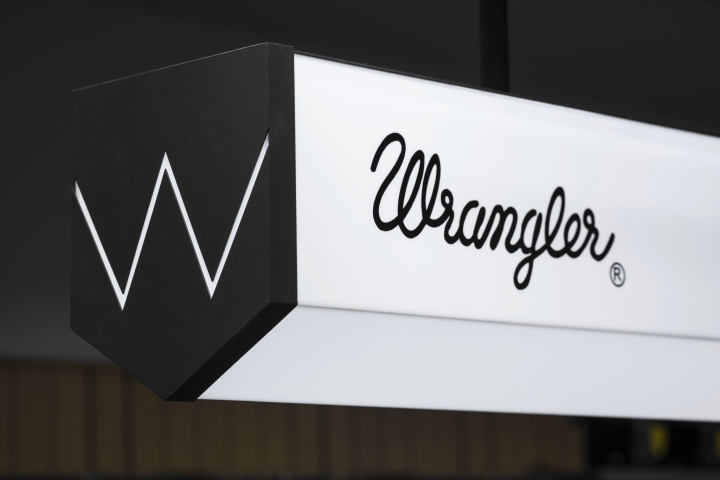 At the back of the store, the cash desk area is transformed into a social hub and showcase for Wrangler’s highly successful crowd sourced biker challenges, streaming latest UGC footage from fans. 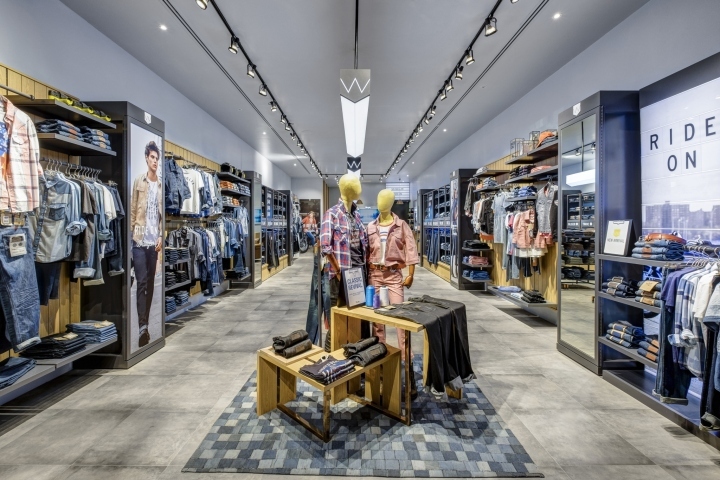 In addition to the retail platform, a new brand monogram was designed to create an iconic and instantly recognizable Wrangler hallmark for Asia that can be understood without translations. 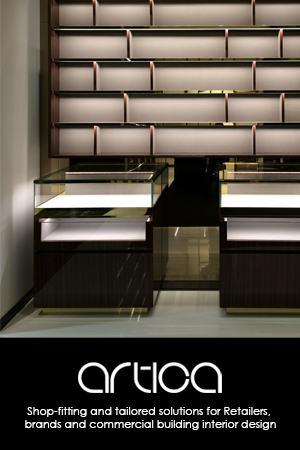 The monogram becomes a signature 3D signage device that leads and guides customers through the store. 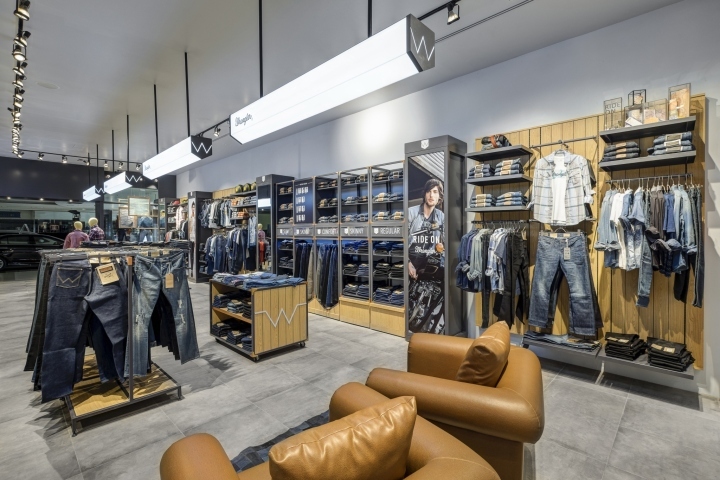 UXUS, with the Wrangler VM team, also created visual merchandising and communication guidelines for the region, using simple and contemporary biker props branded with Wrangler monogram to ensure an instantly recognizable brand presentation across all markets in Asia. 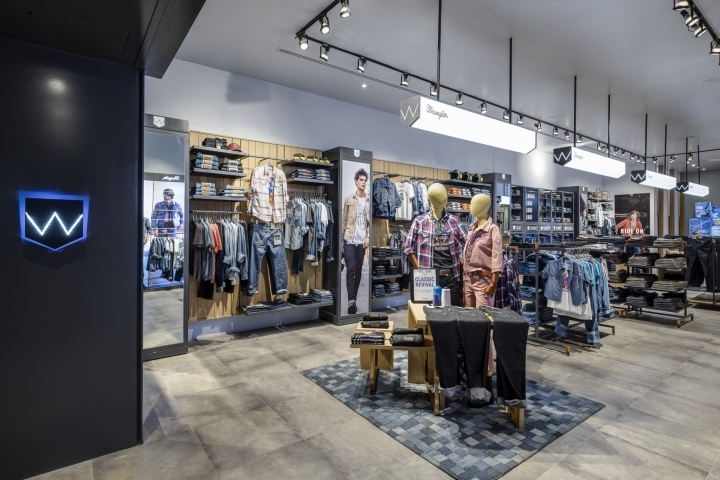 The result is an iconic and premium social hangout that brings together Wrangler’s American essence and aspirational lifestyle that speaks to local tastes. 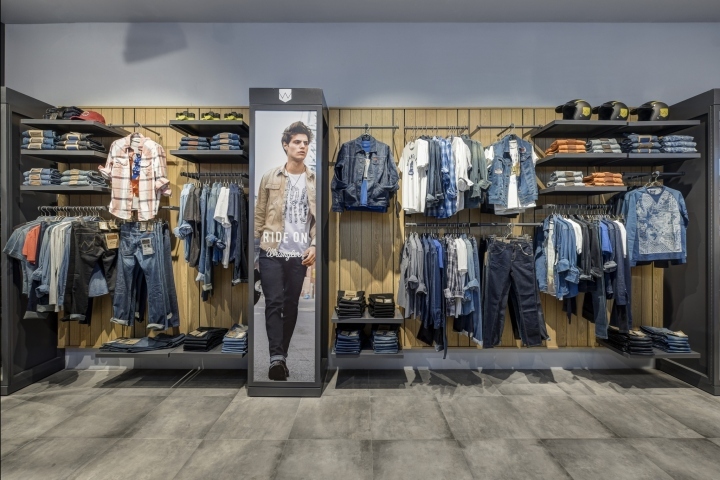 UXUS is a global strategic design consultancy specializing in consumer experiences. 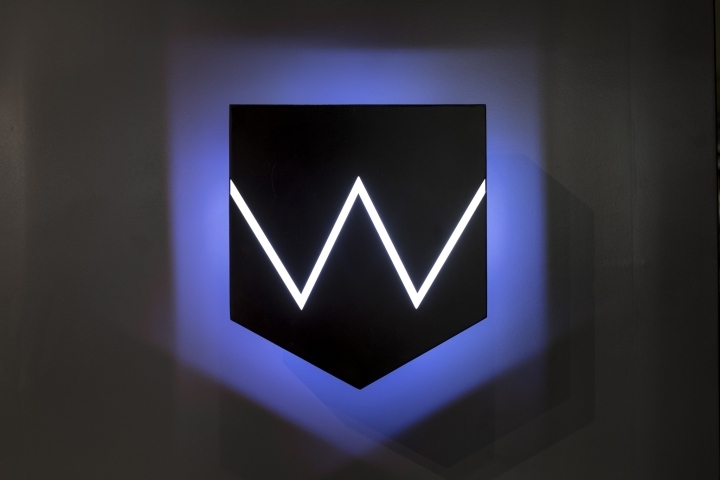 We merge ART x DESIGN, producing immersive experiences that enable companies to create brand desire. 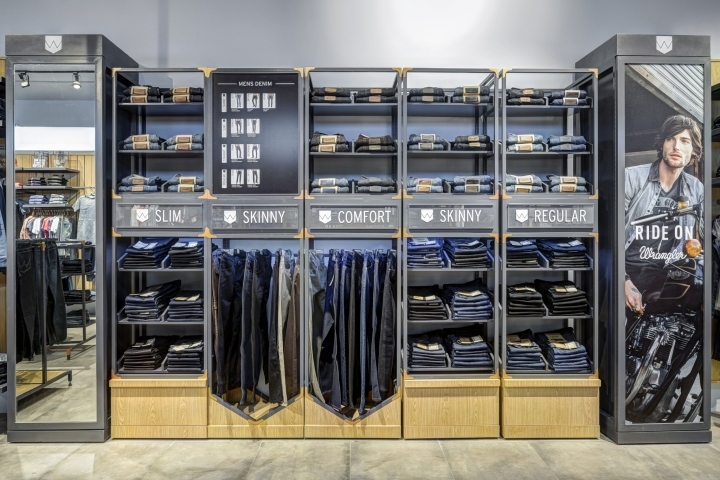 Our name, UXUS means “you times us”, we work together with our clients to solve the needs of brands and those that seek reinvention. 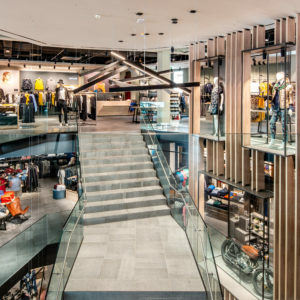 UXUS works with leading global companies including SSP, McDonald’s, Selfridges, Bloomingdale’s, H&aM, P&G, Nike, InterContinental Hotels Group, Tate Modern, and many other valued brands. 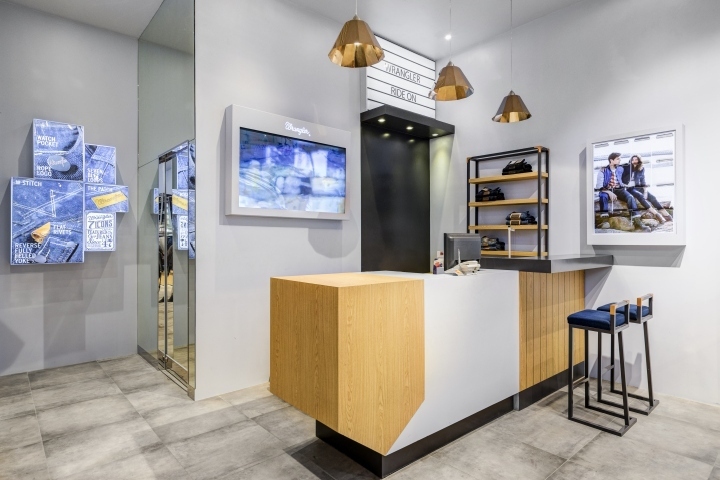 UXUS builds brand desire through 6 core services: — Consumer Experience Design— Retail Design— Hospitality Design— Architecture— Graphic Design — DigitalAs part of FutureBrand and IPG, we can scale our services to any size or region around the globe. 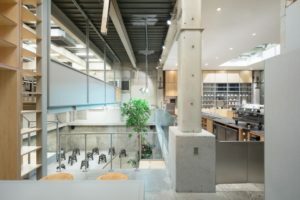 For further press information, interviews, and images please contact Hannah Wiersma, marketing and pr at UXUS.